The math is as simple as it is inspiring, and much the same for DJs as retail: A well-executed holiday sales strategy can produce as much as 20% of yearly revenue. That's $100 million dollars if you happen to be Costco, but even a well-organized weekend warrior can enjoy a similar year-end bounce by booking just 10 holiday gigs. #1: Send out an e-mail blast to all of your brides letting them know that you do holiday parties (most brides don't even think about that) and that this is the time to book (and show all their friends how great their wedding DJ is). #2: Offer to lock in next year's event with this year's holiday clients the week after you rock their party. The date doesn't have to be carved in stone: a simple TBD with the caveat that it has to be selected by September 1 should do. But be sure to offer to lock in next year at this year's rate, and to mention that without the lock, your holiday fee goes up a minimum of 10%. #3: Purchase a business list that shows all the companies in your area by employee size. Lists can vary year to year as new business start and others change, so pick up a new list each year, identify the bigger ones and go after new clients. 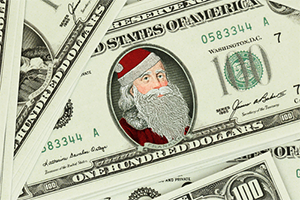 Your return rate isn't going to be astronomical but our experts report landing at least 1-2 new holiday events a year. 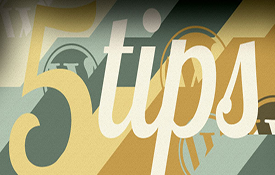 #4: Partner with the venues you work most often with. Offer them a free post-holiday party (what else have you got going on in January?) for their referrals. Lock in just two venues at 3-5 parties each and you've got all the holiday events you need. #5: Host a "Ma & Pa" holiday party. Contact small businesses owners in your area and pitch them a party where they can bring all their employees for lunch or happy hour at a special group rate. Work out a deal with your favored venues and a caterers that allows for a tidy profit on a $30-$50 per head charge, bring in 200-250 people (a not unheard of number) and it's possible to double your investment in one afternoon. *Special thanks to our contributing gurus DJ Brian Buonassissi (B-Boy Productions), DJ Ricky Vazquez (Ricky Vazquez DJ Entertainment), and Jerry Bazata (DJ Jaz Music & Entertainment). 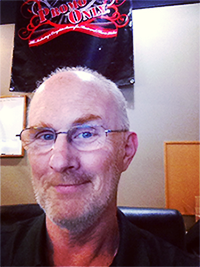 As staff writer, Glen Ervin has covered an array of topics for Promo Only, from bad songs to bad jokes, for slightly less than two decades without stepping into the spotlight. A writer turned musician, Glen began his DJ career on the heels of a car accident, a broken jaw and a club-owner friend in his hometown of Cocoa Florida in need of a DJ, no speaking required. It was the 80s. People partied. And Glen soon found himself with residencies in nearby Orlando, Fort Lauderdale and South Miami. At his peak, Glen was performing five nights a week, 52 weeks a year for Florida's largest nightclub chains, all while writing for the earliest print versions of Promo Only Magazine. Having discovered at a tender age that surfing was best left to those with melanin, Glen soon found himself working as a full-time guitarist at the dozens of nightclubs that dotted the 24/7 landscape of 1970's Cocoa Beach. Top 40, shag, R&B, rock, country - if it paid, it got played, and it proved to be fertile soil for a budding career as a Nashville sideman. Spending 300+ days a year on the road has its perks - no rent, no car, no problems, but provides no Plan B when a drunk driver skids into the parked van where you slept on a long haul from Miami to Nashville. Jaw wired shut, Glen returned to his parent's home, where his mother quickly found something for him to do: help an old friend open a new nightclub. Impressed with his command of music, Glen was asked if he'd consider filling the DJ spot. No one blinked when he asked for three Technic 1210MK2 turntables, although they did stare when they saw what he did with them. While it was DJing that brought him to the attention of Promo Only co-founder Jim Robinson, it was his writing chops, honed from years of penning wannabe hits and unfinished novels, that put him on the payroll. Brought on to contribute to the ad campaign for the legendary Platinum Series, Glen soon found himself writing and reviewing for the monthly magazine Promo Only began offering its subscribers in 1996, a job that has since morphed into the tidbits you'll find in this very eNewsletter. Glen is currently celebrating one less teenager in the house and the pending arrival of additional office space. When I started DJing in the late 90s, I'd usually play friends' house parties and the like. I'd bring my decks (a Numark CDN-22 dual CD player and a mixer), bring my CD collection tucked in my Case Logic bags, and hook up to whatever sound system was handy. Folks at the party would also bring their own CDs, leaving them stacked beside the "DJ booth", and I'd proceed to spin these tunes all night, playing music I liked to hear as well as requests from party guests who had brought their own discs. I never really thought of myself as someone who'd play "underground" tunes and the like, I just wanted to get the party going by playing tunes that made people move, but luckily it wasn't all cheesy trance or mainstream house tunes: Once in a while, I'd throw in a Plastikman tune, or a Terry Francis track, or maybe even some St. Germain. If the crowd didn't like it ("Where's my Vengaboys? "), I'd simply play a track that I knew was going to resonate with them right after. This was how I'd DJ the whole night, night after night. Though crude, it was crowd-reading at its most basic form. Fast forward to today where we have access to literally all the music that's ever been recorded: Whenever you're at a gig and someone asks for a request, they know that you can just grab a tune online and mix it in after whatever your playing's done, BPM/mood/musical key be damned! This of course causes DJs big problems, because we all know it isn't how a DJ should operate (we aren't human jukeboxes, as the saying goes) - but sometimes it just can't be avoided. Never play anything you don't like. Sounds simple, doesn't it? Simply don't play music you don't enjoy. If you can't imagine yourself vibing to it, don't play it. If you can't picture yourself on the dance floor getting off to it, then just don't drop it in your set. For me, this holds true for a luxury wedding reception with hundreds of guests on a private island, down to the occasional gig at my favorite dive joint with 30 sweaty punters, and it holds true for requests and my own collection. 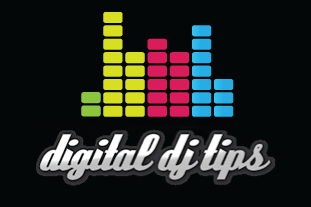 About Digital DJ Tips: Featuring news, reviews, show reports, and tutorials, Digital DJ Tips is one of the most-read DJ tech websites in the world, with over 60,000 students on its paid and free DJ courses. Algoriddim, the makers of awarding winning apps djay and vjay, is clearly a software company passionate about inspiring people to be creative. Case in point: Griffin Technology's inspired new DJ Connect, a pocket sized PnP audio interface that allows you to cue and beat-mix the music stored on your IOS device in true stereo. 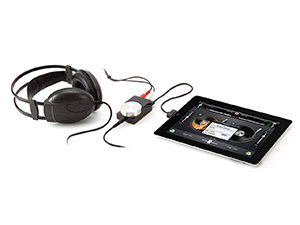 DJ Connect works with any iOS device and any Mac running OS X 10.6 or higher, and comes with all of the cables you need: a Lightning-connector cable, a 30-pin dock connector cable and a USB cable for cueing with algoriddim's djay app on your Mac, iPad, and iPhone. Trouble viewing this video? Watch it on YouTube. A day in the life of a DJ is chock-full of business decisions, client meetings, networking and event preparation. Because there's so much to do and so little time to do so, mobiles can easily get off track and become distracted with non-essentials. "This is probably an understatement but DJs are some of the busiest people around," says Stacy Zemon. 1. Establish a routine. If a DJ doesn't set and stick to a daily schedule, how can he or she accomplish anything? It's a challenge for the average person to juggle his or her personal and professional lives. Without a routine, a DJ won't complete any work. Sampling isn't about "hijacking nostalgia wholesale," says DJ/Producer Mark Ronson. "It's about inserting yourself into the narrative of a song while also pushing that story forward." Watch as he traces the evolution of the 1984 hit, "La Di Da Di," by Doug E. Fresh and Slick Rick. Trouble viewing this video? 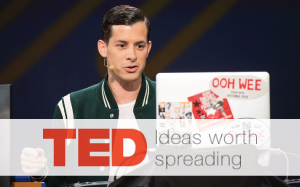 Watch it on TED. 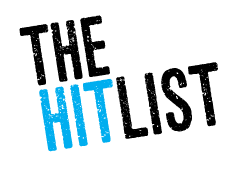 The Hitlist: Find all the hottest Top 40, Hip-Hop, Country, Rock, Dance and Latin Hits, and where they appear on your Promo Only Series. **EDITORS NOTE** The current Hitlist may still be in the process of being compiled so please check back if the one shown is not the most current. The holidays are fast approaching, so stock up on these music video favorites for Halloween, Christmas and Valentine's Day! For Discs, call or email us today. The not-so fine print: Additional shipping charges will apply to orders of 6 or more discs. Offer does not include monthly CDs, monthly DVDs or monthly POOL downloads. *Video files will also play as audio files on any software that supports MPEG4. Offer Expires Midnight, November 30th, 2014. You're probably aware of at least a few of these facts, but there's bound to be at least one or two that will leave you, thinking, "woah. That's good to know." 1. Goldfish bowls are bad places to keep goldfish. 2. For an aspirin to save your life during a heart attack, you need to chew it. 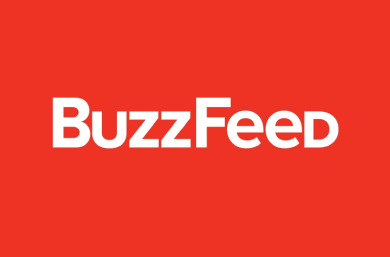 Got a suggestion for future issues or care to comment on our content? 257 South Lake Destiny Rd.